It was a long, winding road for Shane Matherne before establishing Maison Décor, his Boutte store that offers a rich mix of indoor and outdoor home décor items — and much more. Matherne worked in the entertainment business in the 1970’s, playing music professionally since the age of 12. He did some modeling and acting along the way, a route that took him from New Orleans to New York, San Francisco and Los Angeles. But after his mother was diagnosed with cancer, he made the decision to return to Louisiana to help care for her. She passed away due to the illness, but rather than return to Los Angeles, he decided to stay home. After a friend reached out to him offering a job to work in a position overseeing loss prevention and inventory control, he spent 10 years in that role before a series of layoffs left him starting over once again. His first venture was establishing an antique store in Ponchatoula. Six months later, Matherne bought the location of his current store in Boutte, where he opened a store called Lawn Creations, which was more outdoor-oriented. The two stores represent the early beginnings of what today is known as Maison Décor. After Hurricane Katrina struck in 2005, Ponchatoula was greatly affected, prompting Matherne to sell his building there and truly consolidate the two stores into one. “In February, it’ll officially be 17 years that we’ve been here in business,” Matherne said. The first thing that draws the eye of many customers is the selection of over 700 fountains outside. Most fountains range from $300 to $900, though there are more upscale offerings available — Maison Décor does deliveries and installations, and its internet presence has created a customer base that stretches to many different parts of the country. But with so many fountains and other items displayed outdoors, sometimes one is surprised to find a completely new experience and selection of items indoors. “After almost 17 years, we still have people walking in saying, ‘oh my gosh, I didn’t realize you had all this stuff inside,” Matherne said. Among what one might find, for example, is the largest selection of garden flags in the area. There are plates displaying artist renderings of famous local landmarks, be it in St. Charles Parish or New Orleans—for example, displays of both the old and new Hahnville High School buildings, or a depiction of Rock’N’Bowl. Maison Décor is the last authorized independent dealer of Yankee Candle in the New Orleans area — “They’re the No. 1 candle company in the United States over the past 40 years,” Matherne said. And then there’s the boutique. 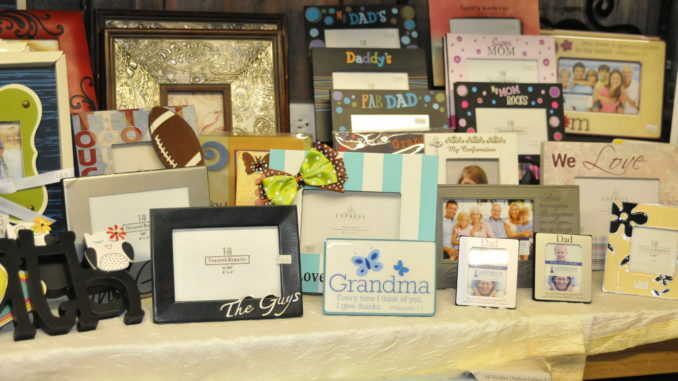 Maison Decor is located at 13098 US Hwy. 90 in Boutte and can be reached at (985) 785-1710.